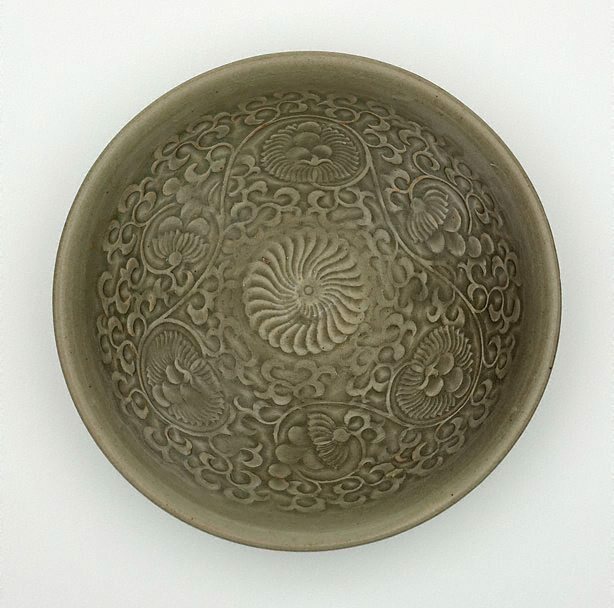 "Northern celadon" is the term for a distinct class of wares produced in North China. 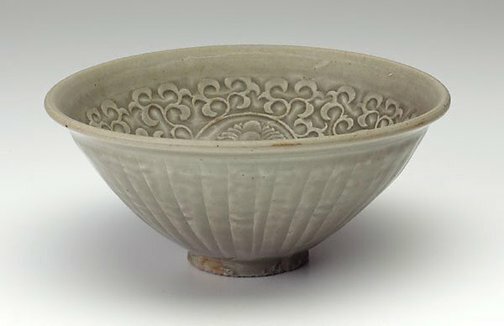 The ware does not appear to date earlier than the Song dynasty (960-1279) and may have been made initially by potters from Zhejiang province who came north with the establishment of the Song capital at Kaifeng. 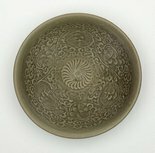 After the fall of the Northern Song dynasty in 1127, many kilns in those Northern provinces of China that came within the domain of the Jin dynasty continued their production of Northern celadon. Pieces such as this are examples of this continuing production of the classic Northern celadons. Asian Art Department, AGNSW, March 1984.